Added by Debra Tash on December 15, 2017. VENTURA COUNTY, CA –The Ventura County Board of Supervisors on Tuesday approved moving forward on a novel job training program. 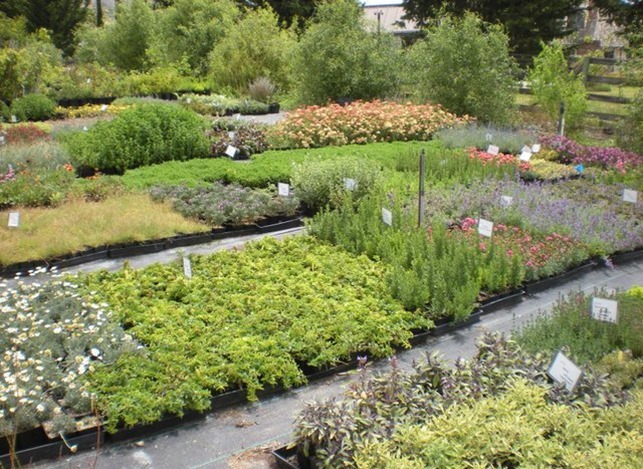 The program will create a drought tolerant plant nursery called “Growing Works” that will act as a training grounds and jobs program for people with mental illness. The combination of horticultural therapy which provides a healing environment, along with job training and jobs, has shown to be an effective form of treatment towards recovery and independence. The Growing Works nursery which will operate as a wholesale, non-profit nursery, will be located on County-owned land on Lewis Road, one mile from a partner in the project, California State University Channel Islands. Growing Works, which is looking for contributions towards its start-up, has already received offers from farmers, including David Martinez with Marz Farms who has offered fencing for the nursery. The Seabees from Naval Base Ventura have offered to clear the land for the nursery, and the Ventura County Community Foundation is assisting with finding grants for soil, pots and irrigation. California State University at Channel Islands and California Lutheran University are also Growing Works supporters with students in their psychology, biology, engineering and business schools available to assist the program. The County’s Behavioral Health Department is anticipating contracting with Turning Point to send their clients to receive job training at Growing Works, and the County looks forward to purchasing plants from the nursery for the Government Center. The California Conservation Corps has already removed tumbleweeds from the vacant parcel to prepare for Demonstration Gardens that will also make the location a more welcoming place for those who live and work there, including nearby Casa Pacifica foster services, another partner in the Growing Works project. Once completed, the Demonstration Gardens will be open to the public. The Board of Supervisors voted unanimously in support of Growing Works, directing County staff to draw up a lease of the land to Turning Point Foundation. The lease will include County funds to repair an unoccupied building on the land that can be used for office and classroom space for Growing Works, and funds for plants for the Demonstration Gardens. Supervisor Parks represents Ventura County’s 2nd District, which includes the communities of Thousand Oaks, Newbury Park, Westlake Village, Lynn Ranch, Oak Park, Santa Rosa Valley, Somis, Bell Canyon, Hidden Valley, Lake Sherwood, Malibu- Yerba Buena, as well as portions of unincorporated Camarillo and the Oxnard Plain.